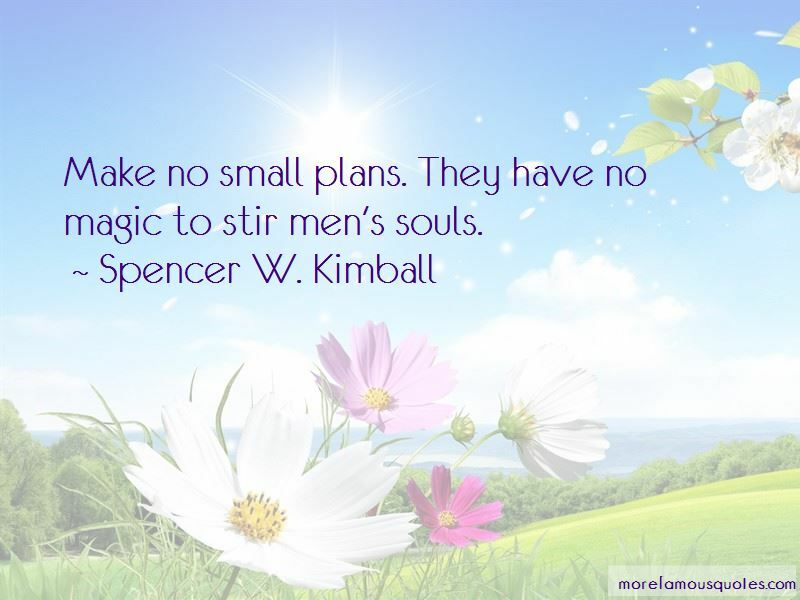 Enjoy the top 226 famous quotes, sayings and quotations by Spencer W. Kimball. The statement, "As a man thinketh, so is he," could equally well be rendered "As a man thinketh, so does he." If one thinks it long enough he is likely to do it. There isn't anything else more important than taking the gospel to the world. If men are really humble, they will realize that they discover, but do not create, truth. My plea therefore is this: Let us get our instruments tightly strung and our melodies sweetly sung. Let us not die with our music still in us. 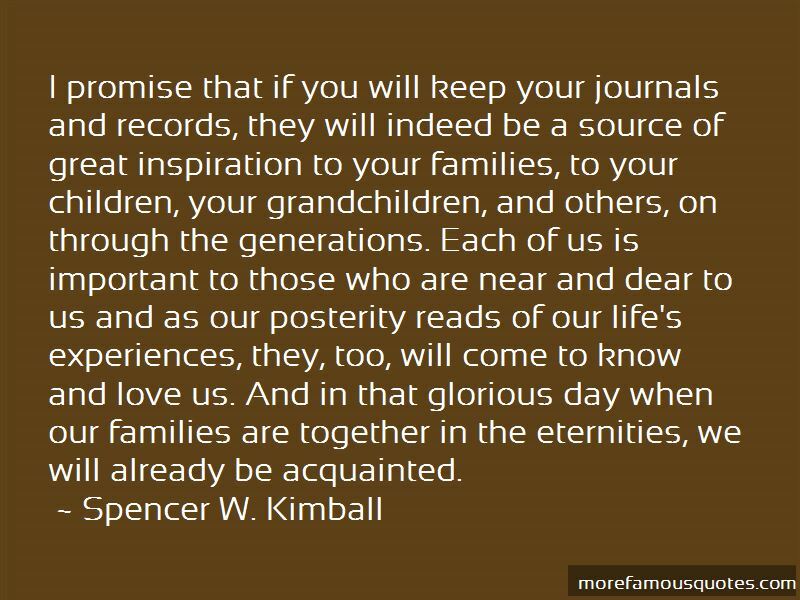 Let us rather use this precious mortal probation to move confidently and gloriously upward toward the eternal life which God our Father gives to those who keep his commandments. We do believe in setting goals. We live by goals. In athletics we always have a goal. When we go to school, we have the goal of graduation and degrees. Our total existence is goal-oriented. We must have goals to make progress, encouraged by keeping records ... as the swimmer or the jumper or the runner does ... Progress is easier when it is timed, checked, and measured ... Goals are good. Laboring with a distant aim sets the mind in a higher key and puts us at our best. Goals should always be made to a point that will make us reach and strain. Man is naturally a religious being. His heart instinctively seeks for God whether he reverences the sacred cow or prays to the sun or moon; whether he kneels before wood and stone images, or prays in secret to his Heavenly Father, he is satisfying an inborn urge. 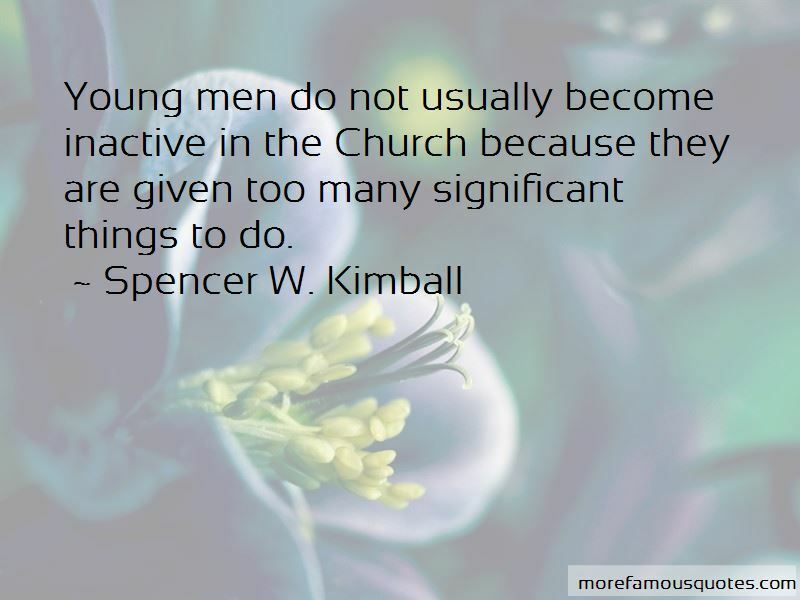 Want to see more pictures of Spencer W. Kimball quotes? 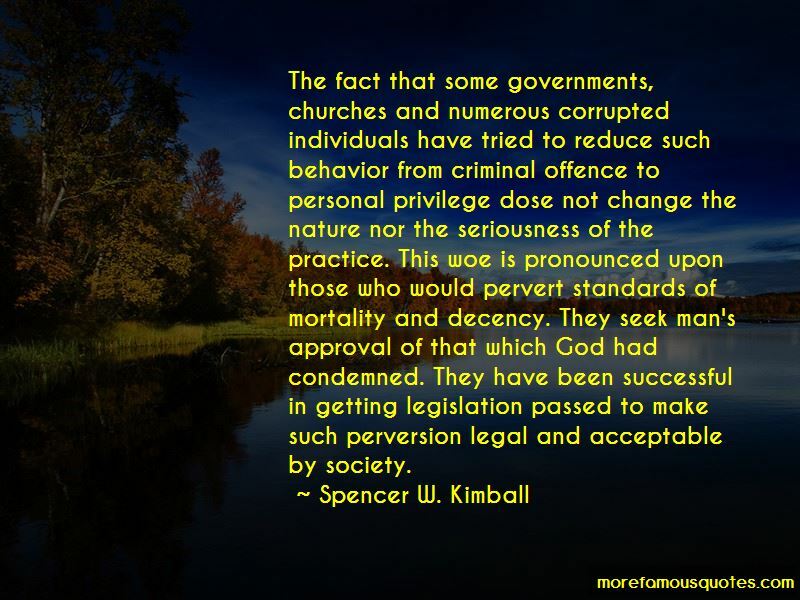 Click on image of Spencer W. Kimball quotes to view full size.